Last week following the OTRII tour stop in New Orleans, Beyonce and Jay-Z had lunch at The Munch Factory and she posted her look to her website. 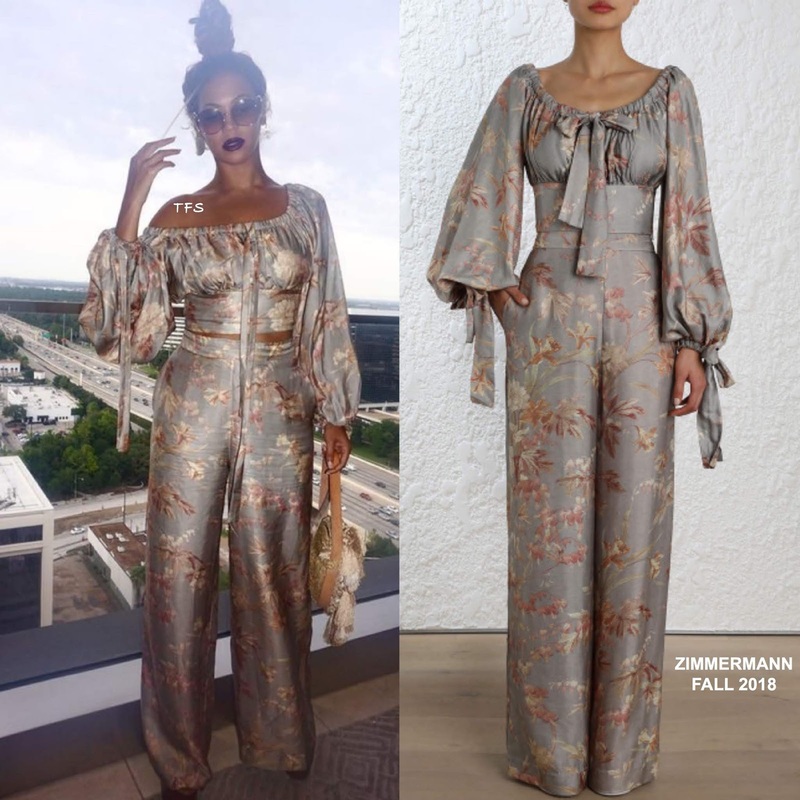 Turning to what seems to be one of her favorite brands, she wore the ZIMMERMANN FALL 2018 'Unbridled Maiden' floral crop blouse and the matching palazzo pants. While the top looks great on the shoulders, I like that she wore one side down as it adds a flirty touch to her look. Accessorized with a feathered bag and retro sunglasses, she finished up with a top knot and red lips.